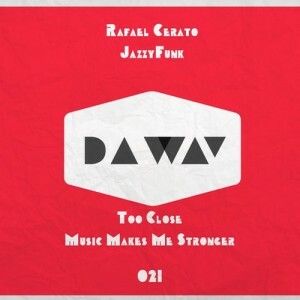 Rafael Cerato, with previous releases on Stay Fly Records, Sleazy Deep, Nastyfunk Records with likes of Betoko, makes the bright entrance for Da Way label with his collaboration named ‘Music Makes Me Stronger’ united with Jazzyfunk (Da Way, Frequenza, Sleazy Deep). Another ‘Too Close’ track made solo by Rafael ends up the release. Pure talent of well skilled artists.